Here at Unlimited Landscape Hawaii, we take pride in the level of dedication and expertise that we devote to the various landscape services that we offer to our clients throughout Oahu. When you decide to hire us, you are assured that we will provide you with the same commendable expertise that we have given before to hundreds of residential and commercial property owners in the state of Hawaii. With us, top notch, yet affordable landscape services are just a phone call away. We have a dedicated team of designers who are able to create a landscape plan based on your vision and taste. We offer landscape drawings as well as 3D design plans which are a collaboration of your ideas and our expertise. Our landscape designs are not just meant to bring out your property's beauty, but to also turn it into a place that your family, friends, guests, or clients can enjoy. If you wish to have a wonderfully looking lawn, then let us offer you one great option: sod lawns. Our sod installation services will ensure that your barren lawn area will suddenly become an oasis with our top quality sods. The sods that we use are the finest available anywhere, and our landscape workers are trained to install them efficiently and speedily so you'll have a stunning lawn in no time. Another specialized task that we include in our landscape services is the installation of artificial grass. Installing artificial turf is one great option to turn your lawn into an ocean of pleasant green. Our artificial turfs are carefully picked by our landscaping team so you're guaranteed that your property will be having sturdy, attractive, and natural-looking artificial turf. If you have plants, trees, and lawn areas, then you definitely need our expertise in installing sprinklers and irrigation systems. As one of the most common landscape projects that we handle, we can pinpoint the exact type of sprinkler and irrigation system that will provide the most benefits to your property. Without a functional and well-built drainage system, your property runs the risk of flooding when water from your irrigation or laundry/sink areas suddenly overflowed. Fortunately, our company has the expertise required to install efficient and functional drainage systems as well as to troubleshoot various drainage problems you may have. 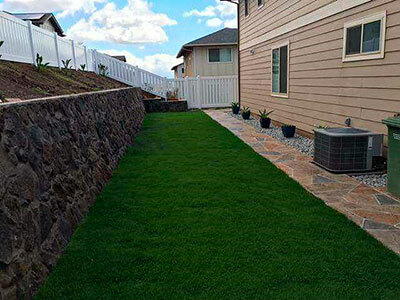 Unlimited Landscape Hawaii promises to deliver exceptional and affordable landscape services to every commercial or property owner in Hawaii. All you have to do is contact us and our friendly staff will be pleased to assist you. 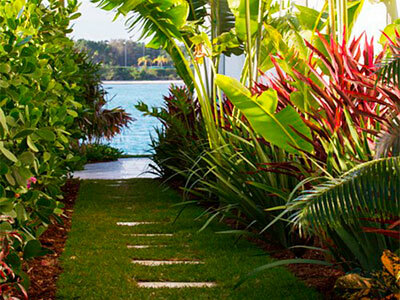 Make the landscape of your dream a reality soon by getting our comprehensive landscape services. Call us today and let us work our magic on your property!